Amazon allows businesses to purchase inventory at discounted rates to encourage buying large quantities. To take advantage of this, you can set business pricing for your Amazon account(s) under the Amazon advanced options (or in Quick Edit). These discounts only apply to companies that have a registered business account on Amazon and are not available to normal consumers. There are two ways to set up business pricing on Amazon. 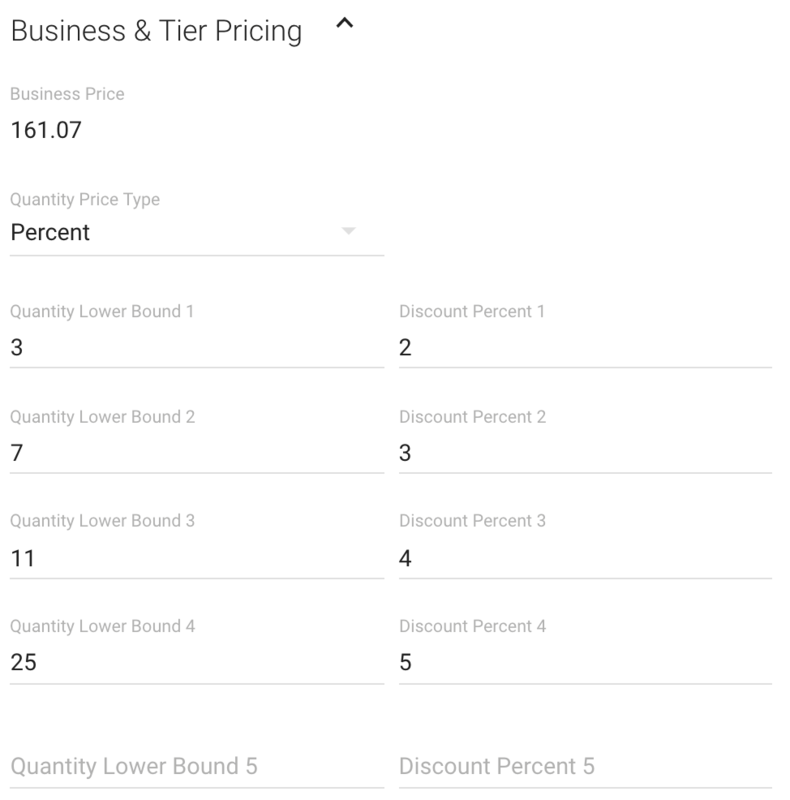 If you don't use tiered pricing, or still want to offer a normal business price below your lowest available quantity for tiered pricing, you can enter business price. You can also offer fixed or percentage discounts for different tiers of order quantity. You can set this up with the following steps. Fixed Discounts are a dollar value off the item price for order quantities within that tier. For instance, if you enter a Discount Price of 5, then a $5.00 discount will be applied per item for order quantities in that tier. Percent Discounts are a percentage off the item for order quantities within that tier. For instance, if you enter a Discount Percent of 5, then a 5% discount will be applied per item for order quantities in that tier. These are the minimum order quantities to qualify for the adjacent discount. For instance, if a Quantity Lower Bound of 10 is entered, then someone must order at least 10 units to get the Discount Price or Percent. This is the discount applied for order quantities over the Quantity Lower Bound. 4. Click Update to Save! Zentail will automatically send the updates to Amazon. After crunching some numbers these look like percentage based discounts. Here's how we would set these up in Zentail.